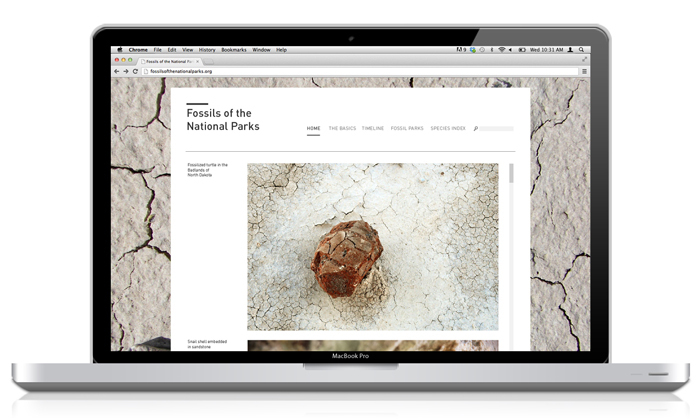 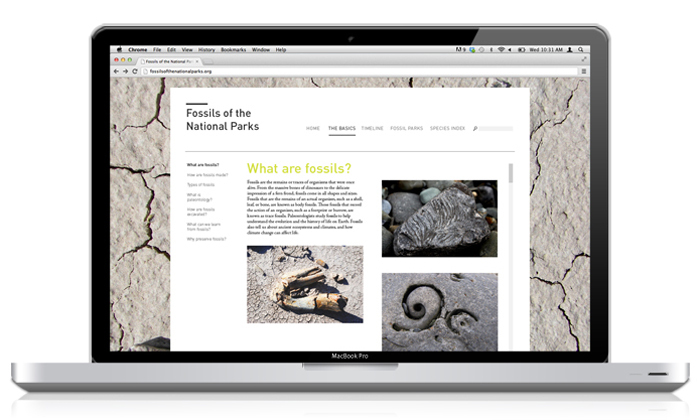 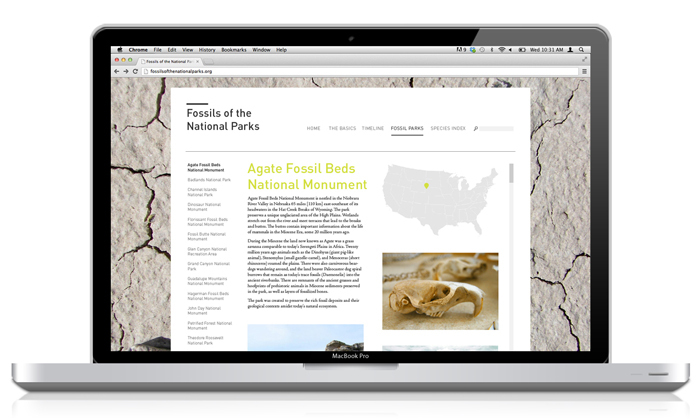 A website dedicated to the fossil resources of the United States National Parks system. 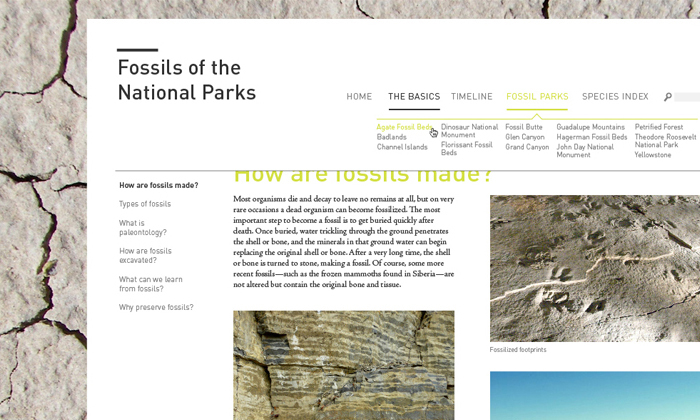 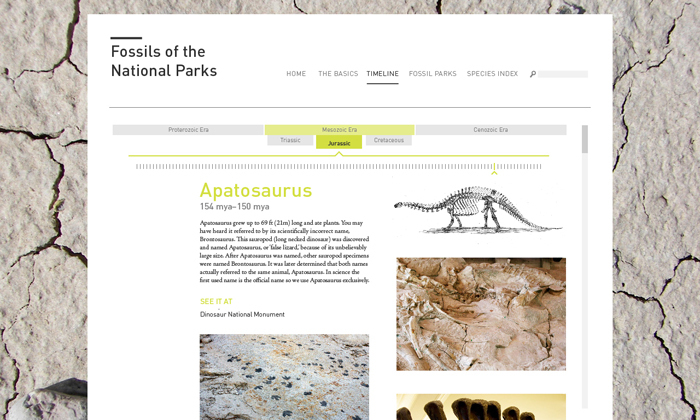 Includes basic fossil information, fossil parks, and interactive prehistoric timeline. 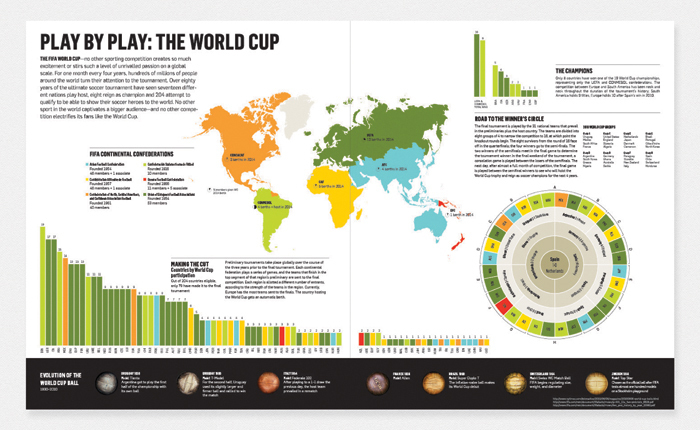 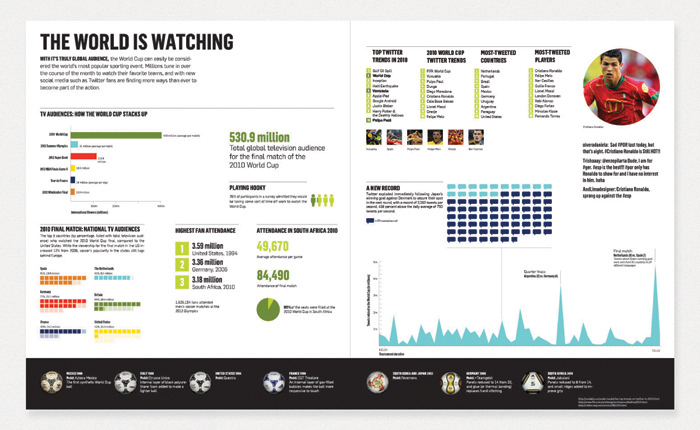 A series of infographic spreads detailing the FIFA World Cupâ€”from the basics, to the stars, to the global audiences. 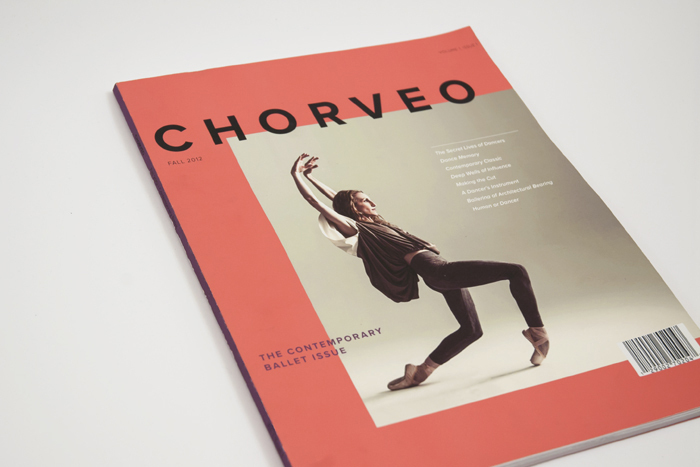 Chorveo is a quarterly magazine dedicated to dance, for dancers and enthusiasts; each issue is focused on a different style of dance. 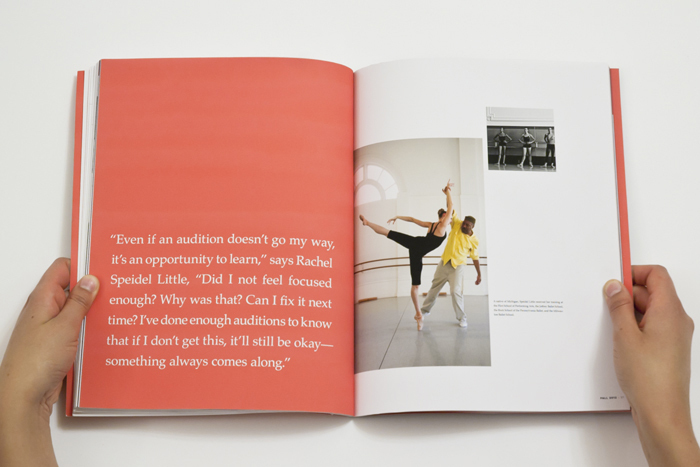 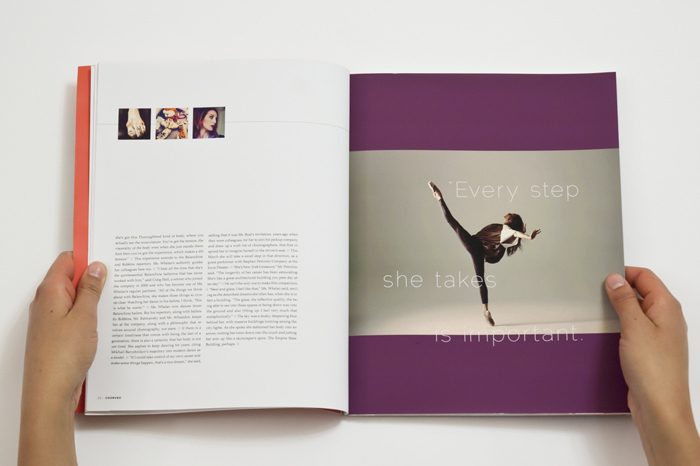 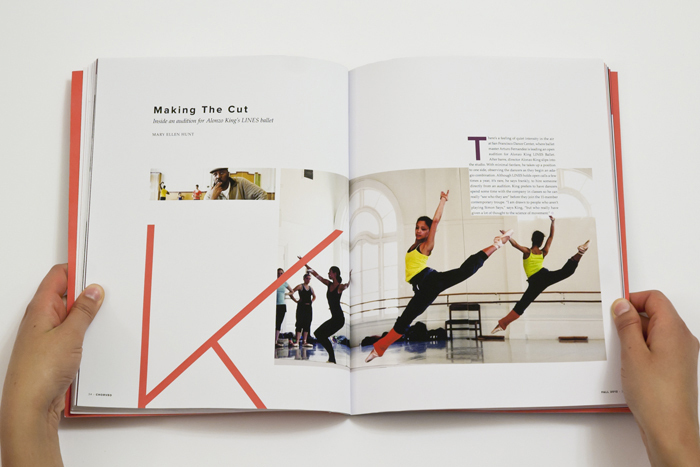 In this, the inaugural issue, the feature is contemporary ballet. 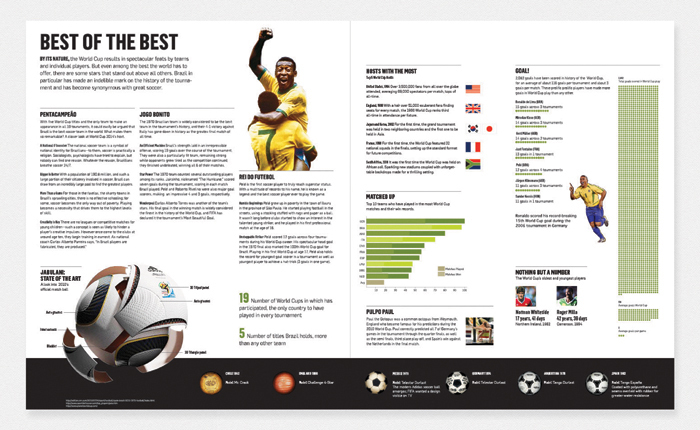 Includes print and iPad editions.